Showing 1 - 9 of 9 articles tagged "Anthony Atamanuik"
The President Show's half-hour special, airing Oct. 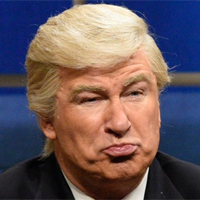 Comedy Central's The President Show announces a "Make America Great-A-Thon"
“We’re working that out,” Comedy Central president Kent Alterman said of Anthony Atamanuik’s weekly Trump parody. The problem is mocking Trump is “both incredibly easy and incredibly challenging,” says Jesse David Fox. “Let’s say he is impeached; it’s a year and a half process.